Wilson Reservoir is located in northern Alabama near the towns of Florence and Muscle Shoals. The reservoir extends upstream for 15 miles to Wheeler Dam and covers 15,500 acres. 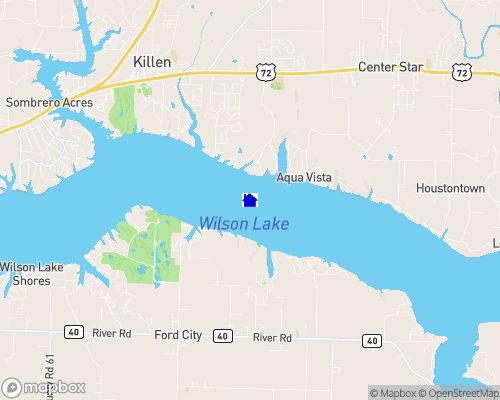 Largemouth bass, smallmouth bass and catfish are targeted most often by anglers on Wilson Lake. No minimum size limit in effect for largemouth bass and spotted bass, and the minimum length limit for smallmouth bass is 14-inches.